You might need to take a screenshot of a website for various different reasons. There are numerous freeware (standalone or the ones that come as browser plugins) available which help you in doing so but not all of them are satisfactory. In case you have tried a few but haven’t found anything suitable, you can try out this tiny utility called SiteShoter. 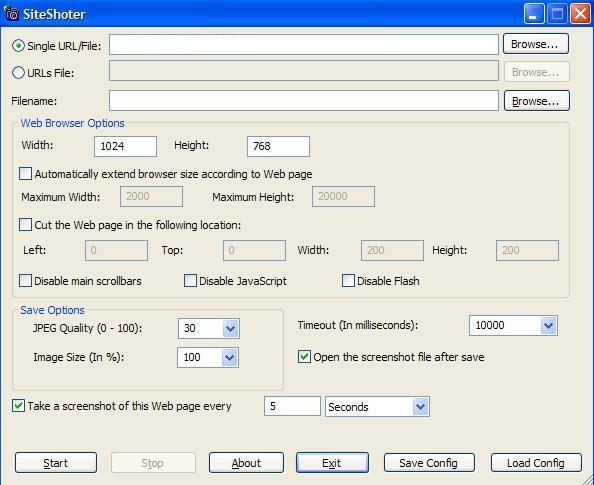 This portable utility helps you capture screenshots of a website in specific predefined intervals and save them into image files. It offers a customized viewing format so that it can be referred to at a later stage. You need to simply download this freeware and execute it to display its simple Graphical User Interface. It does not require installation. 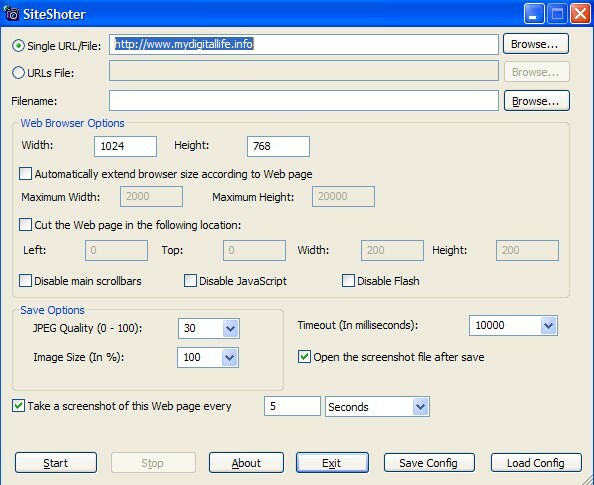 All you need to do is enter a specific website URL that you wish to snapshot and the filename and directory to which you want the screenshot to be saved. You may completely customize the format as you prefer by choosing the height, width or by choosing to crop a specific webpage to a particular location. This tiny utility consumes just about 100KB of disk space and works with most Windows Operating systems like Windows XP, Server 2003/2008, Vista and Windows 7 as well.